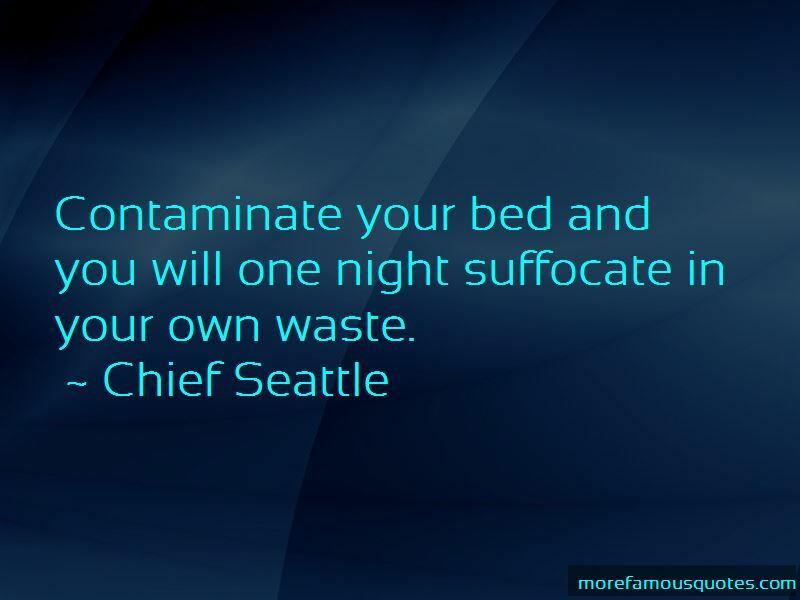 Enjoy the top 59 famous quotes, sayings and quotations by Chief Seattle. 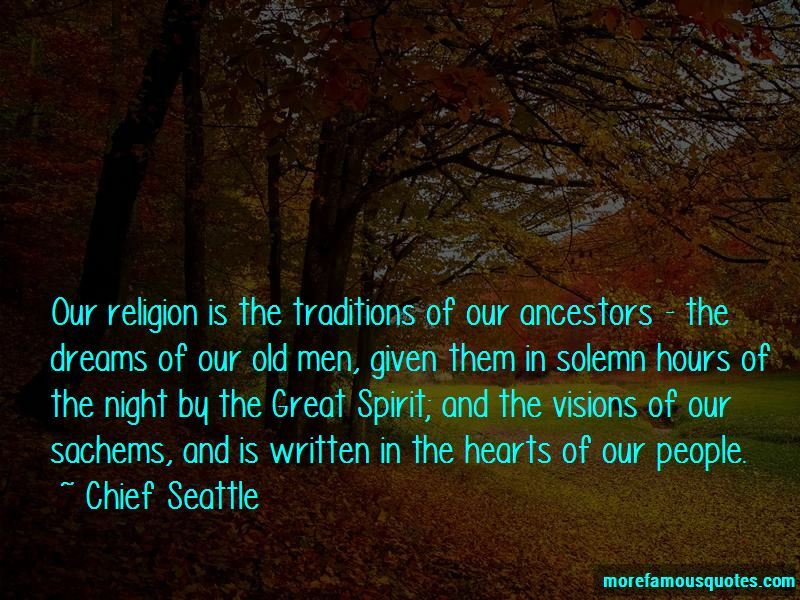 Our religion is the traditions of our ancestors - the dreams of our old men, given them in solemn hours of the night by the Great Spirit; and the visions of our sachems, and is written in the hearts of our people. Humans merely share the earth. We can only protect the land, not own it. How can you buy or sell the sky, the warmth of the land? The idea is strange to us. If we do not own the freshness of the air and the sparkle of the water, how can you buy them? Every part of the Earth is sacred to my people. Every shining pine needle, every sandy shore, every mist in the dark woods, every clear and humming insect is holy in the memory and experience of my people.The perfumed flowers are our sisters, the deer, the horse, the great eagle, these are our brothers. The rocky crests, the juices in the meadows, the body heat of the pony, and the man, all belong to the same family. We are part of the earth and it is part of us ... What befalls the earth befalls all the sons of the earth. There is no such place as away. Your God loves your people and hates mine; he folds his strong arms lovingly around the white man and leads him as a father leads his infant son, but he has forsaken his red children; he makes your people wax strong every day, and soon they will fill the land; while my people are ebbing away like a fast-receding tide, that will never flow again. The white man's God cannot love his red children or he would protect them. They seem to be orphans who can look nowhere for help. Your religion was written on tablets of stone, ours on our hearts. 8. We are part of the earth and the earth is part of us. 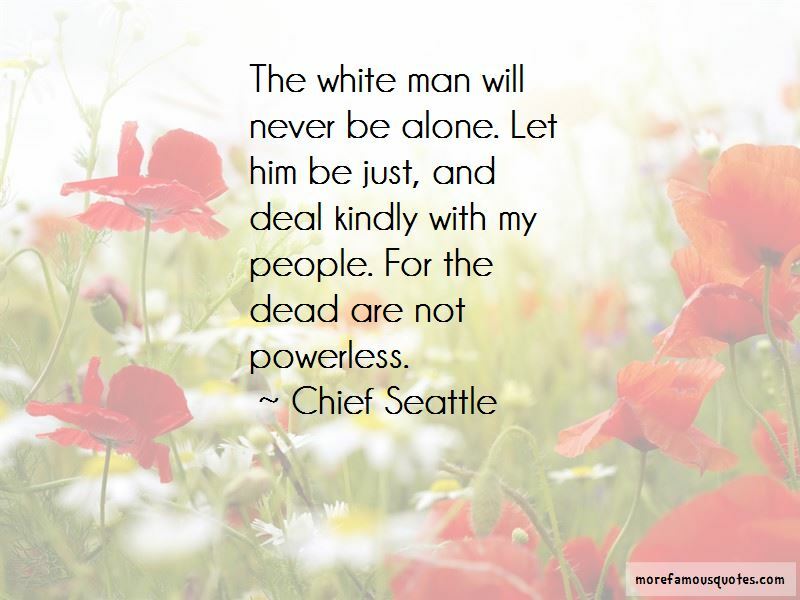 Want to see more pictures of Chief Seattle quotes? 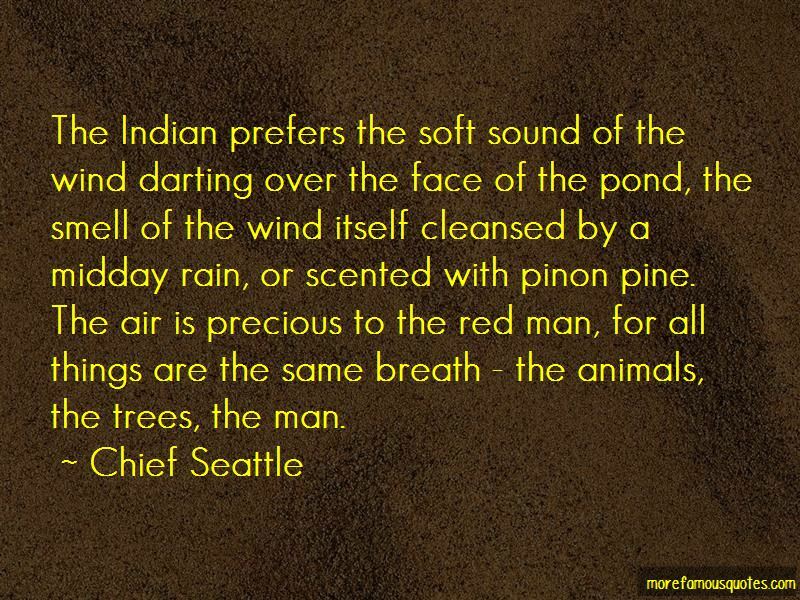 Click on image of Chief Seattle quotes to view full size.